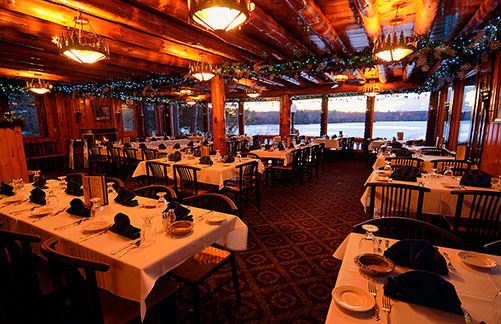 Garmisch USA Resort’s vacation rentals and lodge rooms are conveniently located in the heart of Wisconsin’s Northwoods. Beautiful Lake Namakagon, one of the best all-around fishing lakes in Wisconsin, provides the back-drop for sports activities that are an impulse away. In summer, enjoy hiking, canoeing, fishing, boating, pontoon rides or swimming from the sandy beach. Fall brings the legendary colors of the Northwoods and the best in hiking, hunting and fishing. 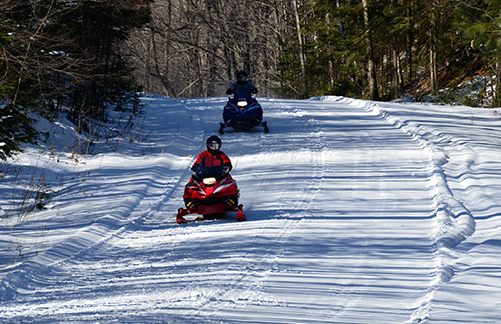 In winter, experience snowmobiling or skiing on the best trails in the world. Springtime offers quiet opportunities for hiking, bird-watching, exploring the Chequamegon National Forest and relaxing with family and friends. 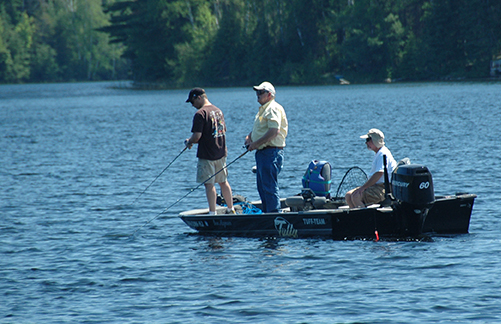 Lake Namakagon is managed as a walleye and muskie fishery. It is a “Class A” muskie lake. The lake has a high-density, natural sustaining walleye population. Muskie and walleye are the most popular game fish targeted by anglers. Northern Pike are abundant in the lake along with a nice population of smallmouth and largemouth bass. 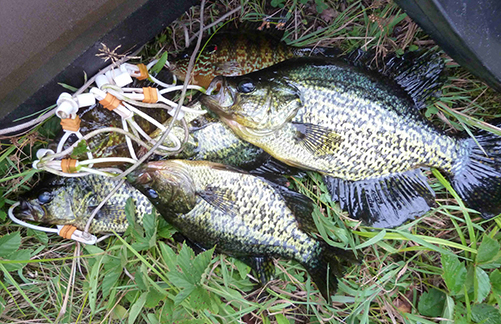 There are also plenty of panfish, bluegill, crappie, and yellow perch. A 3,227-acre lake nestled in the Chequamegon National Forest with a dam on the lake’s western shore for regulating the water level. Water flows freely over the top of the unique rock structure, forming the headwaters of the Namakagon River. Although the lake is large, there are a number of bays and islands that favor access during high winds. There are a number of boat launches around the lake. There is a variety of underwater structures that provide angling opportunities: underwater rock bars and humps, as well as shallow and deep weed beds along with man-made fish cribs scattered around the lake. The maximum depth is 51 feet. 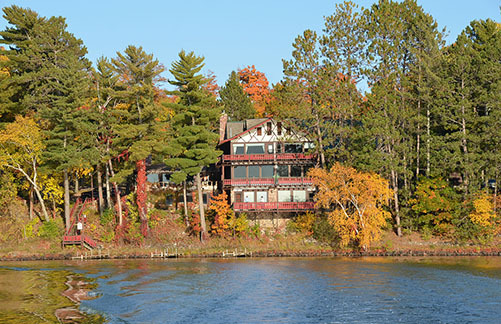 The lake is located 7 miles east of Cable, WI in southern Bayfield County. Enjoy the last of winter watching the snow melt and ice go out, as the birds and animals re-appear from winter hiding. The flowers and trees begin to bloom as the many birds return. Enjoy the many hiking & biking trails, early season golfing, and the fishing opener. Catch a glimpse of a black bear cub or deer fawn, or the eagles beginning their nesting on Paines Island. 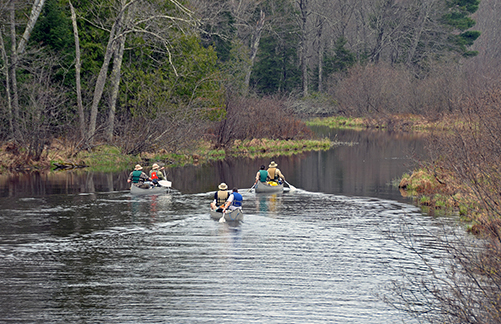 Participate in one of the many activities available during the Northern Wisconsin summer: hiking, biking, canoeing, fishing, boating, pontoon rides, swimming at the sandy beach, and visiting the many area towns and shops. Visit and see the legendary colors of the Northwoods, whether hiking, biking, hunting, ATVing, fishing, or while traveling to the local towns for the many festivals or just shopping. Come experience some of the best cross-country skiing and snowmobile trails in Northern Wisconsin or drill a hole in the ice and catch some fish.